This year’s exhibitors include the likes of AJA, Atomos, Canon, Delkin, GoPro, JVC, Kino Flo, Nikon, Redrock Micro, Teradek and many, many more. With such an awesome exhibitor list comes an equally awesome prize list, such as an Atomos Ninja Blade, a GoPro Hero 3+, JVC HA-MR77x Headphones, a $250 EVS rental credit and again, much, much more. There will also be demos from the exhibitors on the EVS stage, FREE Wood Fire BBQ lunch and cold drinks. It’s a great time not to be missed. So be sure to check out more on the event below, or just do yourself a favor and skip on over to EVS where you can RSVP for the event. 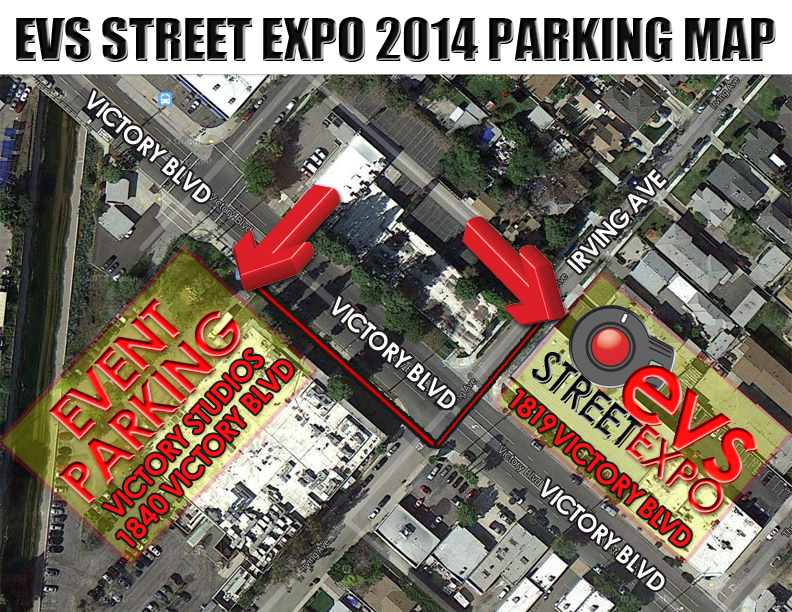 Spend Saturday September 20th, from 12 to 6pm, with EVS and the biggest names in the industry. Visit Exhibitor booths including GoPro, Canon, Panasonic, Matthews, Kino Flo and over 30 more. This is a great opportunity to get your hands on the latest gear you’ve been reading about. On the EVS Stages, we will be hosting Exhibitor Demo Seminars scheduled throughout the day. Best of all, our Exhibitors also want to say thank you by providing several thousand dollars’ worth of gear for our raffle…..and we’re talking about the good stuff people want! Plus, we’ll be throwing in our own $250 Rental Credit to the raffle, as well as exclusive blow-out in-store specials. Come spend Saturday September 20th with us as we make the day about you. It’s your opportunity to enjoy a FREE fully Catered Wood Fire BBQ lunch & cold drinks, stimulating conversation, educational demos, and the opportunity to walk away with some free gear. EXHIBITOR LIST: 16×9, AJA, Atomos, Benro, Bright Tangerine, Camcaddie, Canon, Cartoni, Century Optics, Cherry Box, Delkin, DJI, Fujinon, G-Technology, GoPro, IDX, Induro, iPro, JVC, Kino Flo, Lectrosonics, Manfrotto, Matthews, NewTek, Nikon, Panasonic Broadcast, Panasonic Lumix, Photoflex, ReadyRig, Redrock Micro, Rode, SanDisk, Schneider Optics, Sekonic, Shure, SKB, Switronix, Teradek, Tinba, TVLogic, Wooden Camera, Xrite, Zoom & More….